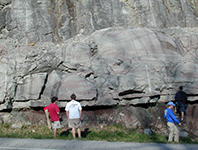 The pages that follow provide a photographic record from field trips by USC Geological Science undergraduates and graduate students examining the geology of the Appalachian Mountains. 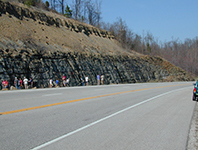 Links are made to the outcrops exposing the sedimentary record that accumulated here in the Paleozoic from the Cambrian through the Mississippian to the Pennsylvanian and Permian. 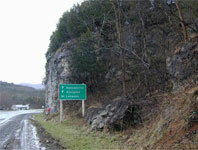 Most of these outcrops occur along I 26 interstate exposures from South Carolina through Ashville, NC, Johnson City, TN, to Kingsport, TN, which then becomes Rt 23 as a two lane highway cuts through Big Stone Gap, Norton, Wise, Pound, VA, Jenkins to Pikeville, KY, and extends north through Ashland KY. 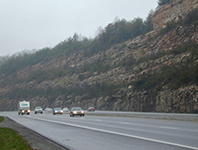 Here the AA Highway winds through Kentucky close to the Ohio River to Cincinnati, Ohio. 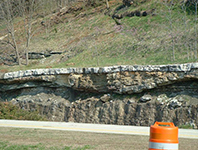 The Image galleries below contain photographs that only partially capture the character of the magnificent road cuts that extend along these highways. 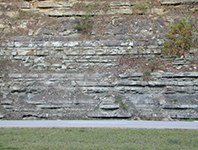 The galleries of the photographs for the various outcrops can be viewed by clicking on the images that are beside the listed localities or the highlighted text along I 26 NC and Tennessee, I 75, Tennessee, I 64 in Kentucky, Rt 9 (AA Hwy), Rt 801, Rt 519 and Rt 23 in Kentucky and Virginia, and Rt 58 in Virginia. 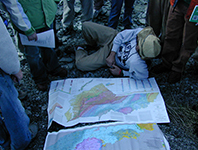 Maps locate the galleries on their appropriate pages. 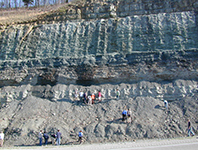 Using only observations that you made during the field trip, you should write a paper (7-10 pages of text) that describes and interprets the Paleozoic sedimentary rocks and stratigraphy of eastern Kentucky. 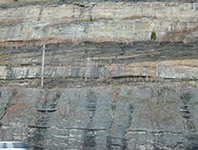 As part of this paper, you should generate a series of paleogeographic maps that depict the schematic evolution of the Appalachian Basin. 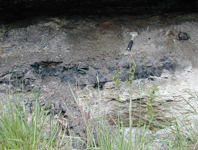 (b) the collective composite measured section that you will compile as a class at Pound Gap in the easternmost part of the basin. 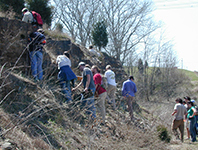 Materials gleaned from external sources will generally not help your grade—you will be evaluated based on your observations and your ability to effectively interpret and synthesize them using the concepts learned during lecture. Your reliance on literature instead of your noggin' could negatively impact your grade. • Take thorough, readable notes. 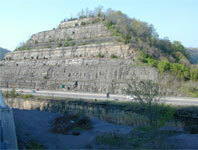 Augment them with sketches or photographs. 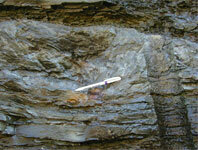 Record the location of each stop and tie the location to the descriptions in your field book. 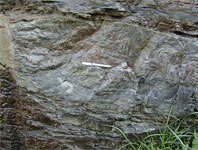 • Some stratigraphic units may occur in multiple locations but have different lithofacies assemblages. Be sure to describe each occurrence separately, but note when different occurrences may be lateral equivalents to one another. 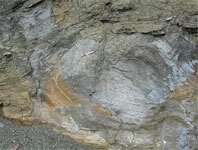 (b) retrograding (distal strata overlaying proximal strata). 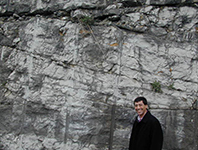 When a vertical succession of rocks does not obey Walther's ‘Law,' there is some exinsic mechanism (usually climate, tectonics or sea-level) at work on the depositional systems. 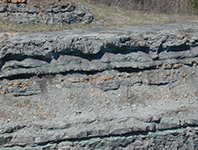 Your ultimate goal is to identify these disoBedient changes in stratigraphy (EX: alluvial-fan conglomerates overlain by shelf carbonates), and provide plausible explanation(s) (EX: eustatic sea-level rise; decreased convergent tectonic activity). Describe units and events in chronologic order, from oldest to youngest. Don't use a narrative style (EX: ‘First we did this, then we did this, then we had lunch' or ‘Dave said this was this') in your writing. Avoid passive voice. 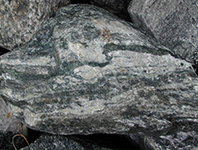 Keep descriptions and interpretations separate. 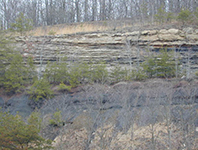 ‘Coarse-grained, trough-cross-stratified fining-upwards succession of sandstone' is a description. 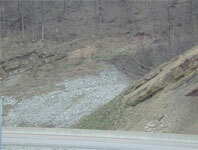 ‘Fluvial channel deposits' is an interpretation. 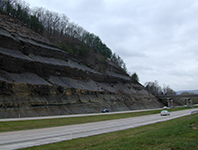 A paper (7-10 pages of text) that describes and interprets the Paleozoic sedimentary rocks and stratigraphy of eastern Kentucky with a series of paleogeographic maps that depict the schematic evolution of the Appalachian basin. 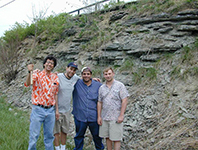 the collective composite measured section that you compiled as a class at Pound Gap in the easternmost part of the basin. 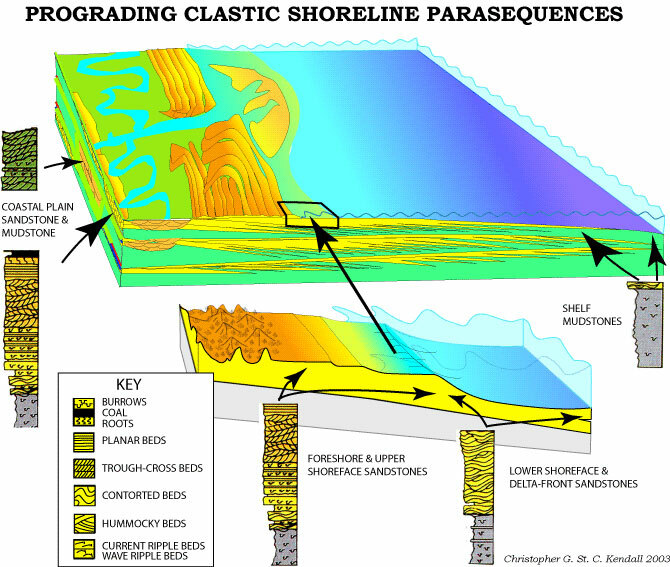 To aid in your write up you might want to the visit the terminology page and look under parasequence-shoreline. 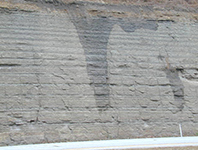 Also Check the four examples that Van Wagoner et al (1990) provided for coarsening upward parasequences for a beach; delta; stacked beaches; and fining upward stacked tidal flats in the terminology section of this site. If you search for a little time you will find more.